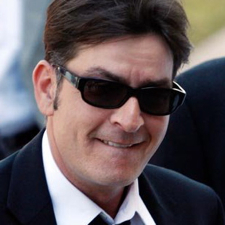 Are You Ready for Charlie Sheen's Big Screen Return in Charlie Swan III? Once upon a time, as The Playlist recalls, a bloviating crazy person named Charlie Sheen claimed he'd be starring in a sequel to Major League directed and written by Roman Coppola (for his first feature since his debut, 2001's CQ). Turns out Sheen spits half-truths: He won't be returning to the cineplex in a baseball movie, but another project with Coppola called A Glimpse Inside the Mind of Charlie Swan III. No official word yet on his casting, but you'll see that Sheen deserves no other part but the unraveling title character.